A wide range of pelagic predators survive in the open ocean, yet little is known about how they use that environment. Much of the current information on these species comes from studies in shelf waters, and it is not clear how representative the results are of their oceanic lifestyle. 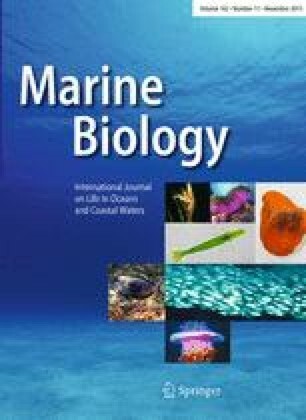 We used pop-up satellite tags to explore the horizontal and vertical use of the open ocean by porbeagle sharks (Lamna nasus) in the south-west Pacific Ocean and to identify possible mitigation measures to reduce their bycatch in tuna longline fisheries. Ten porbeagle sharks were tracked in waters around New Zealand for 72–300 days (median 221 days). Sharks made horizontal movements of hundreds to thousands of kilometres, with a maximum estimated track length of almost 10,000 km. Mature females made seasonal latitudinal migrations from ~46–48°S in summer to ~35–38°S during winter–spring, where they are hypothesised to give birth to pups. Porbeagle sharks exhibited diel vertical migration, diving deeper during the day than at night. Dives generally began at dawn and finished at dusk and lasted 11–15 h depending on day length. Porbeagles feed mainly on mesopelagic fish and squid and appear to forage in the vertically migrating deep scattering layer. All sharks dived to at least 600 m with a maximum recorded depth of 1024 m. During the day, most of their time was spent at depths of 200–600 m in the open ocean. Porbeagle shark bycatch could be substantially reduced by limiting longline fishing to daylight hours when they are too deep to be caught. However, longliners currently set mainly at night to avoid seabird bycatch, which would increase unless other mitigation measures were implemented to protect them. A review of factors affecting the bycatch of various species, and the impact of mitigation measures on catches of target species, is required to identify an appropriate suite of management measures. Reviewed by S. Campana and N. Queiroz. The online version of this article (doi: 10.1007/s00227-015-2756-z) contains supplementary material, which is available to authorized users. We thank the New Zealand Ministry for Primary Industries’ observers for tagging the sharks aboard commercial fishing vessels, James Andrew for coordinating the observers and providing data, and the fishing industry and commercial fishers who assisted them. This study was partially funded by the New Zealand Ministry for Primary Industries through project SEA201310 and the Moore Foundation. All applicable international, national, and/or institutional guidelines for the care and use of animals were followed. All procedures performed in studies involving animals were in accordance with the ethical standards and fish tagging protocols of the New Zealand National Institute of Water and Atmospheric Research.